Sony still plans to release The Interview in some form after hackers pressured the studio and theater owners into dropping the film. 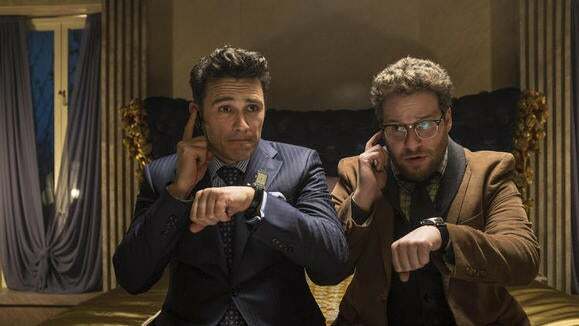 The studio has told the Wall Street Journal and other news outlets that it’s evaluating its options for the over-the-top comedy, which stars James Franco and Seth Rogen as two American journalists tasked with assassinating North Korean leader Kim Jong-un during an interview. Meanwhile, the hack itself is blowing up into a political crisis, with the FBI claiming North Korea was “responsible,” and North Korea threatening reprisals for the accusation. “The army and people of the DPRK are fully ready to stand in confrontation with the U.S. in all war spaces including cyber warfare space,” a released statement declared. Why this matters: It’s extremely rare for a movie to be yanked from theaters shortly before its release, and it’s unclear exactly what Sony’s options are at this point. With the film gaining more publicity than it ever would have before the hack, it will be interesting to see if Sony tests the waters of digital distribution or tries to get The Interview back into theaters again.